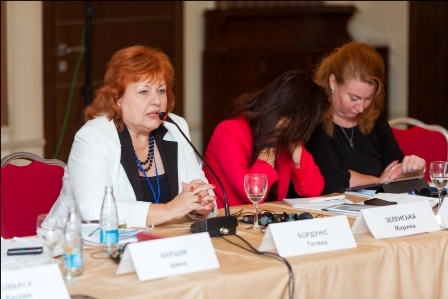 The issue of HIV/AIDS in Ukraine concerns not only the medical and social fields. It is also a significant legal problem. Very often, people living with HIV or AIDS are faced with violations of their rights. They need legal assistance, but rarely have the means to pay for it. The EU-funded project, Developing a network of legal support in the field of HIV/AIDS started in January 2012. The EU Delegation to Ukraine provided financial support in the amount of €450 thousand for the project. It is implemented by the All-Ukrainian Charitable Organisation, All-Ukrainian Human Rights Movement “Hidnist” (“Dignity”). We interviewed Tetyana Bordunis, leader of the Movement, about protection of the rights of people living with HIV. Mrs Bordunis is a lawyer with thirty years of experience who has dedicated much time to working toward human rights protection in Ukraine. Your project is involved in monitoring human rights violations in the area of HIV/AIDS. What are the most typical violations you encounter in Ukraine? According to our data, the highest number of violations occurs in the medical sphere. There are several common types of violations: firstly, denying patients treatment and medical services, and secondly, there is a problem with failure to disclose an HIV/AIDS status. Another problem is a shortage of services and health care workers not properly performing their duties. Law enforcement services take second place in terms of number of violations. In particular, we are talking about the violation of the right to a medical examination and treatment in police stations and detention centers. What typical problems do people approach your organisation with? How does it work and where can they go for help? The majority of people come to us because their rights are being impaired and they are incapable of dealing with the situation independently. Each oblast that is part of the “Dignity” project has one designated representative and one lawyer or attorney. The representative is responsible for the involvement of target audience and promotion of the project. The lawyer provides advisory services. Anyone in need of help can go through either one of these people or go to our organisation’s website. There are actually 20 lawyers involved in the project. For the last nine months, more than 900 different types of violations have been registered. The project supported these people to prepare 112 appeals to court. So the project involves not only advice but also legal representation in court? Yes, that’s right. Besides one attorney for each of the project oblasts, we have also created an attorney’s group. We sign a one-time agreement for each specific case. I have personally worked on three cases; two of these involved considering Articles 131 and 132 of the Criminal Code of Ukraine in court for the first time. Tell us more about the recent case involving disclosure of diagnosis in the Yalynka children’s home. In May 2011, Olena Berezina, head of the Crimea-based foundation, Our Hope (‘Nasha Nadezhda‘), came to me for help. She had discovered a case involving disclosure of an HIV-diagnosis. Our movement carried out extensive work to bring this case to trial proceedings. On Jan. 22, 2013, the Central District Court of Simferopol delivered a verdict of guilty to a health care worker in the Yalinka children’s home on the matter of disclosure of the HIV-status of a little boy. The court determined the health care worker should no longer have the right to practice medicine and fined her 1,700 UAH. Why does it take so long to consider these cases? First of all, I have to say that Article 132, “Disclosure of information on medical examination for HIV or any other incurable contagious disease” does not allow for punishment in the form of imprisonment, which is why law enforcement services don’t take it seriously. At the moment, three different cases are under investigation. Two of them have already been denied further consideration. We aim to draw the attention of law enforcement services toward such cases, because they have repeatedly refused to consider them. What are the most common ways HIV is transmitted in Ukraine? The most common ways that people become infected with HIV are through sexual contact with an infected partner, using a needle or syringe that has already been used by someone who is infected, and mother-to-child transmission (during pregnancy, childbirth, or breast-feeding). Earlier statistics showed that the injection drug-use method was the leading cause of transmission. Today, getting infected through sexual contact is more common. There are a growing number of cases where HIV has been transmitted during medical procedures. As a rule, if an adult person is infected with HIV at a medical establishment, it is very complicated to prove this fact from a legal perspective. On the other hand, cases of HIV-transmission to newborns at hospitals are easier to investigate and prosecute. Do you bring complaints about violations of the rights of people with HIV/AIDS to the European Court of Human Rights? On Jan. 24, 2012 we filed complaints to the European Court of Human Rights on three separate cases. The grounds for bringing complaints to this higher court include unacceptable duration of case consideration (7 years or longer) and non-delivery of compensation for damage that was done. The cases are related to transfusions of HIV-infected donor plasma received by three newborn children in June 2005, in Mariupol, Donetsk oblast. This is a landmark case for Ukraine because it has drawn the attention of state institutions, particularly the Ministry of Healthcare, to the quality of donor blood, conditions of the equipment in blood transfusion stations, and the corruptness of the judicial system. 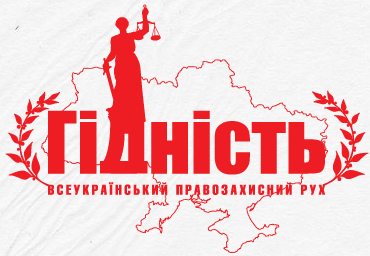 The main objective of this all-Ukrainian project is to create a unique national network of legal advisers to provide free assistance to people living with HIV, convicted, and drug injectors. Furthermore, the project monitors human rights violations with regards to HIV/AIDS. Additionally, it aims to improve coordination between non-governmental organisations and the Ukrainian public sector.